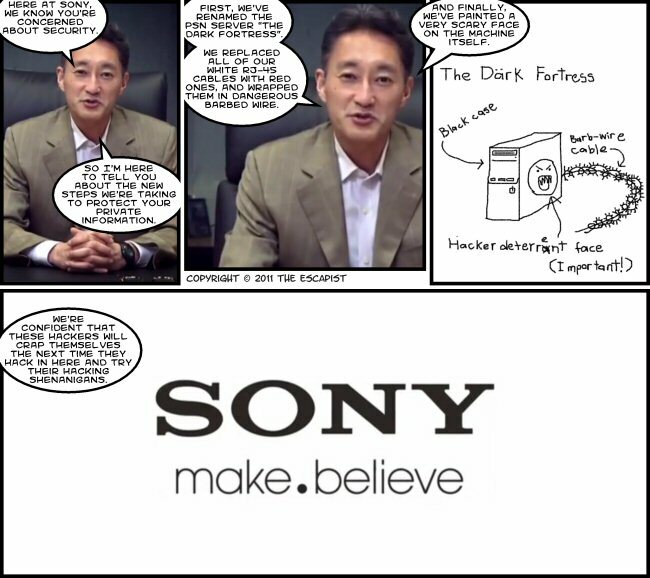 Last week I said that I liked Sony's response to the whole "hackers break in and steal everything" deal. This was an endorsement of their actions from a public relations standpoint. I don't know if it was actually a good response from a security one. I'm sure the hackers will let us know what they find.